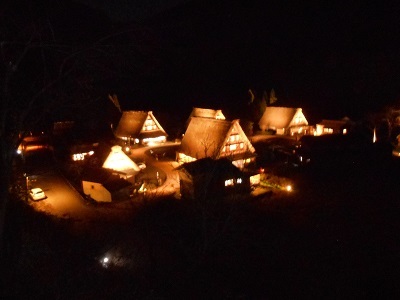 Illumination events were taken place at Gokayama Gassho villages ( Ainokura & Suganuma ) 0n Dec. 7, 8 and 9, 2015. 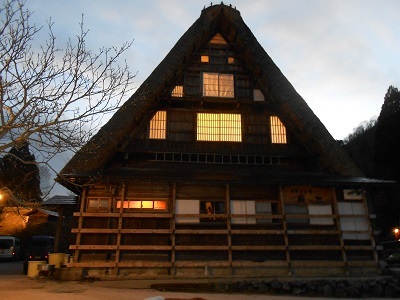 Gokayama was designated as World Heritage site in 1995. 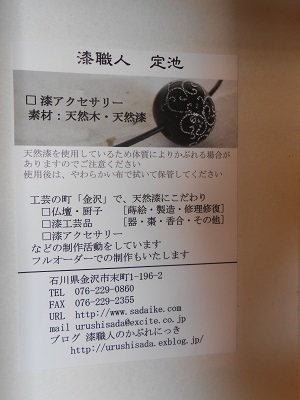 This event was carried out as the celebration of 20-year anniversary of the designation. 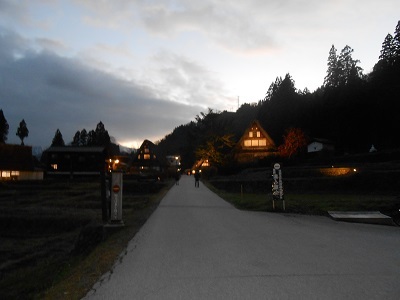 We visited both villages on Dec. 7 . The outside was a little bit chilly, but we enjoyed a wonderful light up. 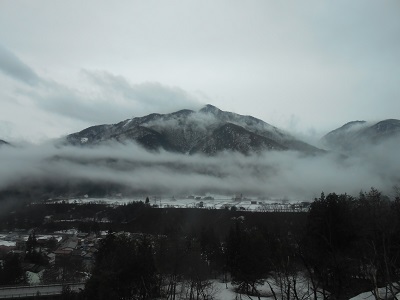 We see a white tower from the observation point of Kenrokuen garden. 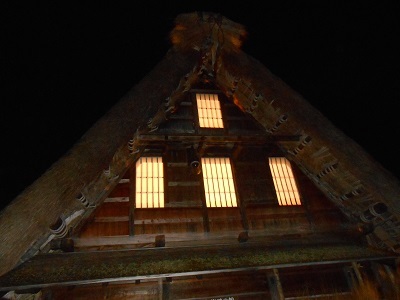 I was often asked about the white tower located in the middle of Utastuyama hill by my customers. Nehru Jawaharlal, ex- Prime Minister of India presented Bone of Buddha to Japan in 1954, about 10 years after World War 2. 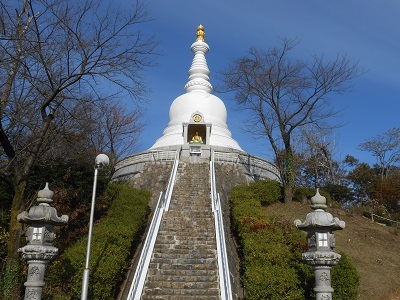 This pagoda was constructed in 1974, about 20 years after receiving Buddha’s Bone from Nehru. 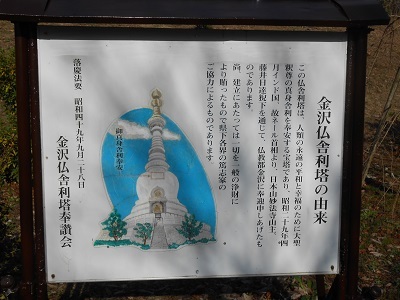 This pagoda is the symbol of praying for recovery of Japan from shambles after WW2, and of praying for forever-lasting World Peace. I saw a heron perch on a rock. 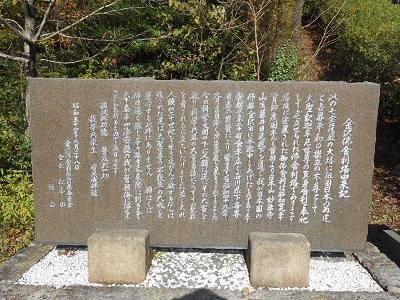 The rock is situated on Horaijima island. 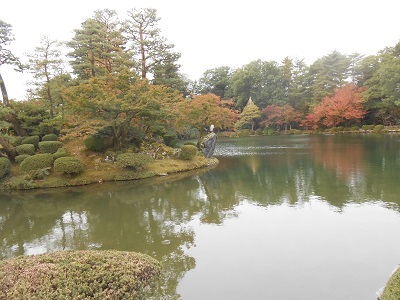 The heron has its territory in Kenrokuen garden. 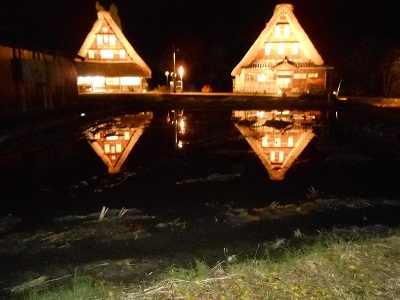 I often see the heron at Kasumigaike pond ( Misty pond ) and Hyisagoike pond ( Gourd-shaped pond ). 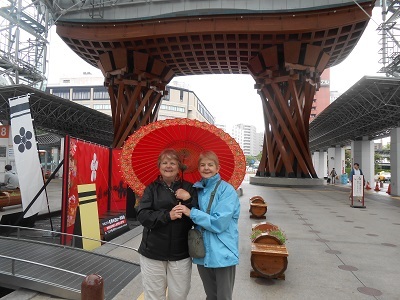 Four ladies from Australia enjoyed two-day tour. 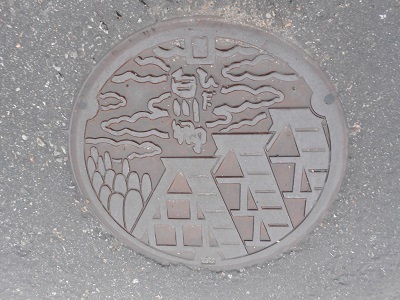 One day was for Kanazawa. 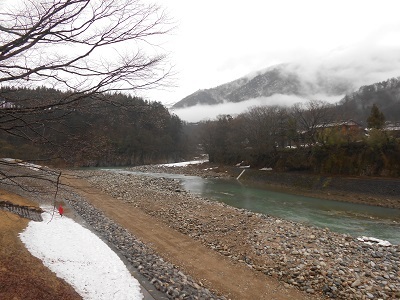 The next day was for Shogawa river cruise ship and Gokayama Gassho village. They are all cheerful ladies, and good walkers. They called me ” Mr. T “. It sounded comfortable for me, and easy to pronounce. I liked to be called ” Mr. T ” , which comes from my name ” Takashi ” , of course. 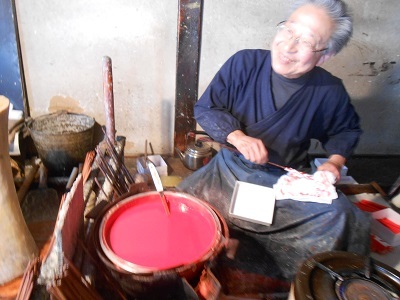 T also sounds like ” Tea ” of Tea Ceremony. 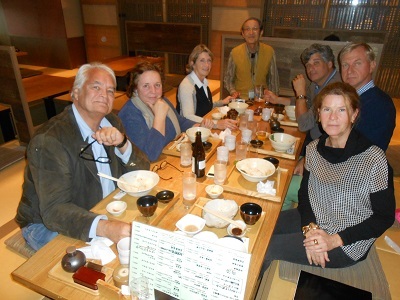 6 travelers from Holland enjoyed their lunches at Sushi restaurant in Omicho market. 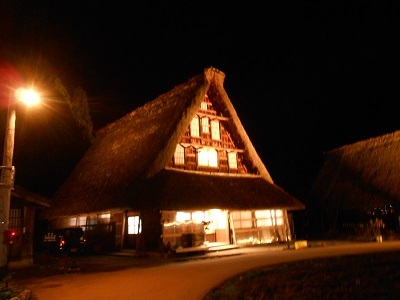 The photo was taken there. 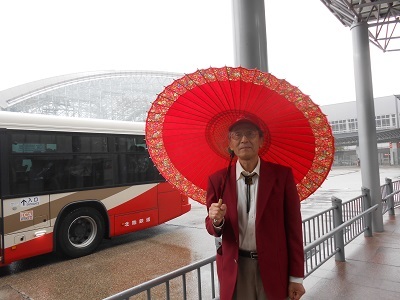 I carried out tour guiding of Kanazawa for them. 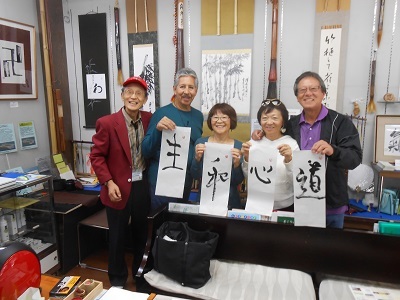 My guests from USA enjoyed calligraphy at a bamboo calligraphy brush shop. 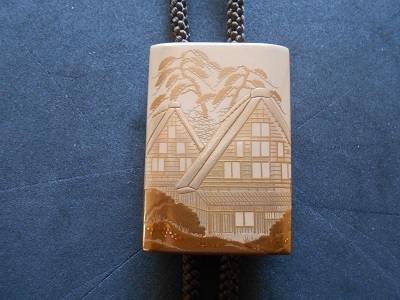 A lacquerware craftsman, Sadaike made a bolo tie tip for me. 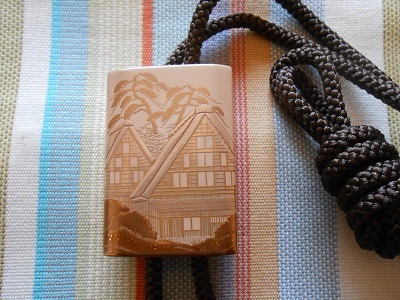 The design of the bolo tie is Gassho farmhouse in Shirakawago, UNESCO world heritage site. 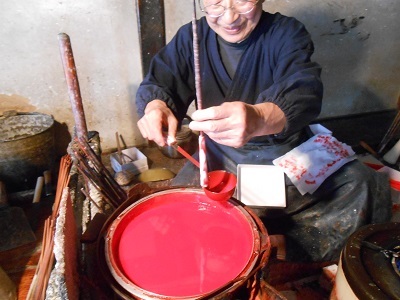 Sadaike says Shiro-Urushi, which is literally means white lacquer is used to make the bolo tie. It’s so meticulous and beautiful. 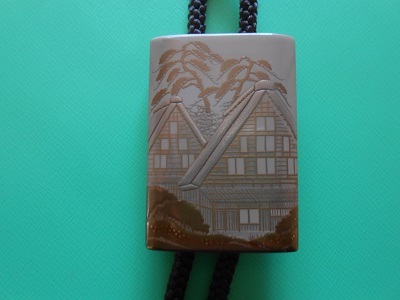 I am sure to wear this bolo tie when I provide tour guide service in Shirakawago and Gokayama. 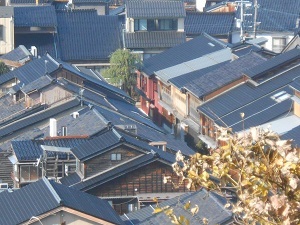 These villages are designated as UNESCO world heritage site. 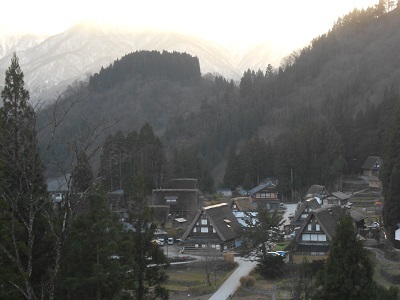 Fog covers the Shirakawago village in April. 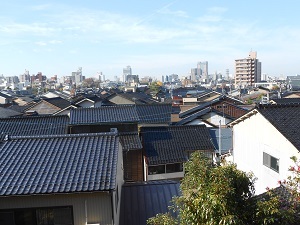 When I showed overseas tourists around Higashi-Chaya Geisha District, they wanted to see a scene of roof tiles. 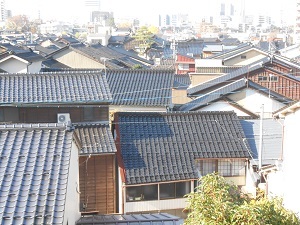 Roofs on the wooden buildings in the Hokuriku region are covered with traditional shining black tiles. 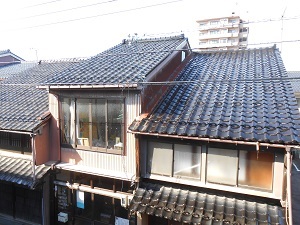 A roof tile is made of clay. 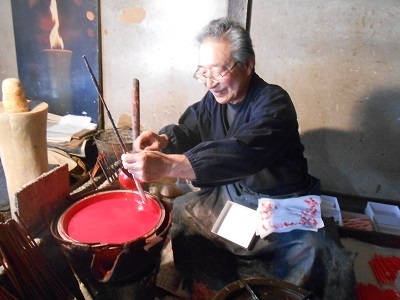 Clay is formed to a shape of roof tile, and dried, and glazed, and fired at the temperature of 1,000 to 1,250 degrees Celsius. 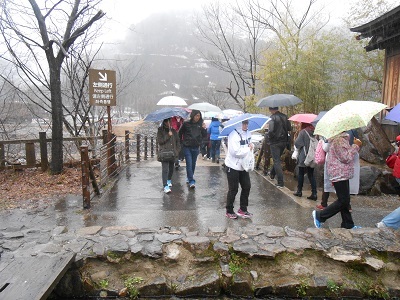 Another characteristic is that some tiles have arch-like hooks to prevent snow from sliding down to the ground so that not to harm walkers on a road.